Honeysuckle House is situated on the Ardnamurchan Peninsular on the beautiful west coast of Scotland. Ariundle Oakwoods, a National Nature Reserve, is within a short walk and Garbh Eilean hide is only a couple of miles away. Cycling in the area is superb as is fishing and kayaking on Loch Sunart, which can be seen from the croft. Ardnamurchan Lighthouse, the most westerly point on the British mainland, is closeby and with the Ardnamurchan Natural History Centre makes a fantastic day out. The small isles of Muck, Rhum and Eigg can be visited in a day trip from Arisaig and is a must for wildlife enthusiasts with near daily sitings of whales, dolphins and porpoises. This gorgeous holiday house is recently built and is Category 1 for wheelchair friendliness (the house is very wheelchair friendly with a wheel-in wet room in the downstairs bedroom and good wheelchair access throughout the house). Built with every thoughtful care throughout: traditional in design with oak furniture and wood burning stoves in the sitting rooms. 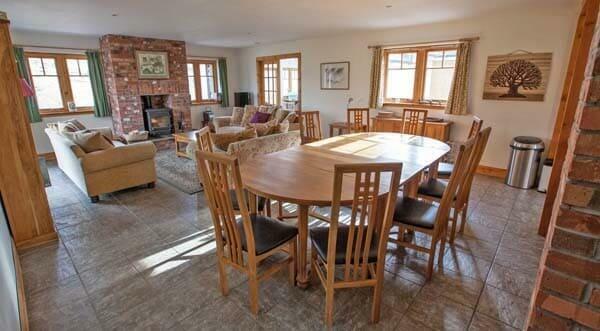 With the adjoining Rose Cottage, it makes a fantastic big house for 12 (plus an additional 4 children), perfect for that family gathering or group of friends. 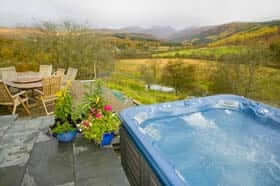 A giant hot tub under the stars and private patio with stunning elevated views of the Strontian river, glen and mountains and south to a peak of the sea are perfect for relaxing and sipping a glass or two of wine. There is a drying room for wet boots, coats and dogs. 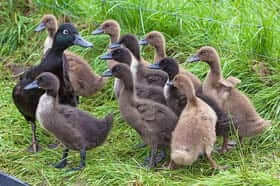 Children are very welcome and will love the croft - collecting eggs from the chickens, ducks and geese and a trampoline. This is a fantastic part of Scotland for a holiday and this house is in an idyllic setting and truly luxurious - a very special place to stay. To quote from The Sunday Times - 'Heavenly cottage and food', 'The best sited hot tub in Europe' and 'Staggeringly lovely fare' - no wonder they listed this property in their '6 of the Best Cottages in Britain'! 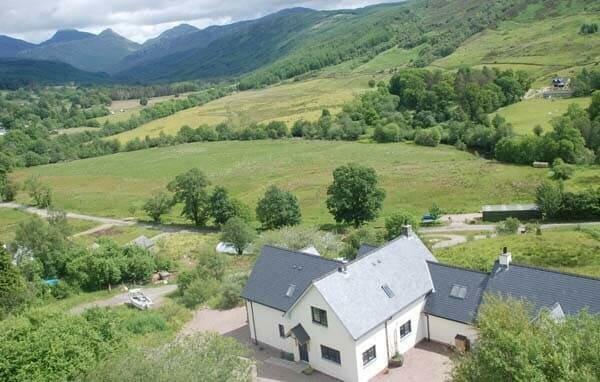 This luxury Highland holiday house has been built to the highest standard. There are two double bedrooms and two twin bedrooms. 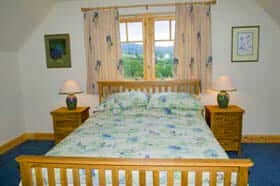 The double rooms have king-size beds and both twin rooms can be turned into super king-size zip and link doubles. 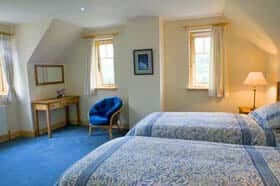 One of the twin rooms also has bunk-beds and we have two additional single beds which can be added anywhere. There are large goose-down duvets (synthetic are available) and extremely comfortable mattresses. The house has been designed so whoever is cooking is not excluded from what's going on in the main living area. 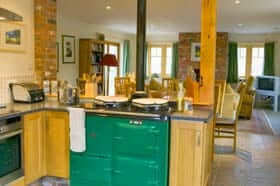 It is warm, well insulated, has underfloor-heating, a large wood-burning stove and as much wood and kindling as you need. 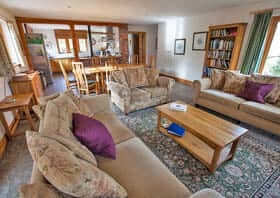 There is lots of space in the enormous sitting/dining room with free wireless broadband, a TV, DVD and CD player. 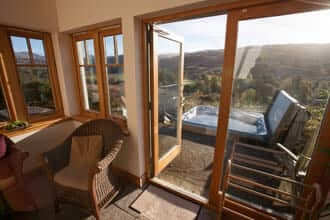 The large sun room has spectacular views across the valley to the hills, gives access to the hot tub and is stocked with books, DVDs, puzzles and board games. The adjoining Rose Cottage (which sleeps 4) can be rented to make a large holiday house for 12+ people - they are connected internally. When rented as one large house, there are 6 en-suite bedrooms sleeping 12 (and beds can be provided for an additional 4 children). It is an unusual house in that it has been designed so that the sitting room and dining room in Honeysuckle can seat 12 in great comfort when the 2 cottages are let together. On arrival you will find home-made scones and jam, Faritrade tea, coffee, sugar and milk. A casserole can be left in the Aga for arrival made from beef from the working croft, along with lots of ingredients such as eggs, fruit and vegetables. 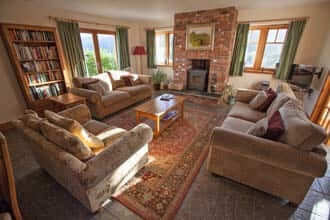 Linen, electricity, logs and heating are included in the rental prices. Honeysuckle House is rented out year round. Rental periods are generally a week, Friday to Friday, but short breaks are welcome off season. Checking in time is 4pm and checking out is 10am - or otherwise by arrangement. To book this large self-catering house in a stunning setting, click the enquiry button below and see availability and prices. It's hard to imagine a 5 star self-catering house in a more breathtaking position - the views are amazing and it isn't surprising that it's been said that this is the best sited hot tub in Europe!